Earlier this summer I had the pleasure of attending the Vimeo Festival + Awards on behalf of .tv as one of their advocates. 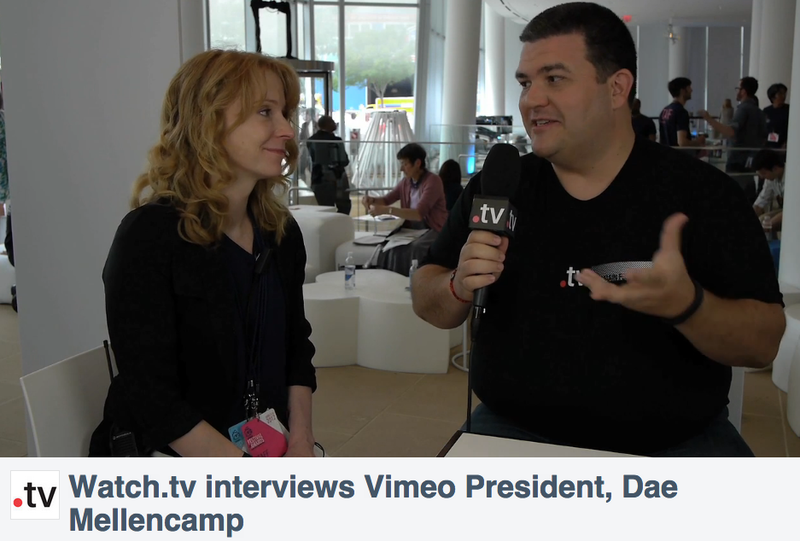 It was a real honor for me to chat with Dae Mellancamp, President of Vimeo. She was so down to earth and giving with her time and I have a feeling we could have chatted about the power of online video for a lot longer than we did. Ever since I set up my own profile on Vimeo I've been a big fan of their site and hearing what they have planned makes me extremely happy. If you are a video producer and haven't checked out all the features that Vimeo gives you, I suggest you take some time today to check it out.